Please join us from 7-10 p.m. for a 4th of July VIP Extravaganza in GulfQuest's Port City Room overlooking the Mobile River. Beer, wine and heavy hors d'oeuvres will be served. Tickets are $50/adults and $25/child. 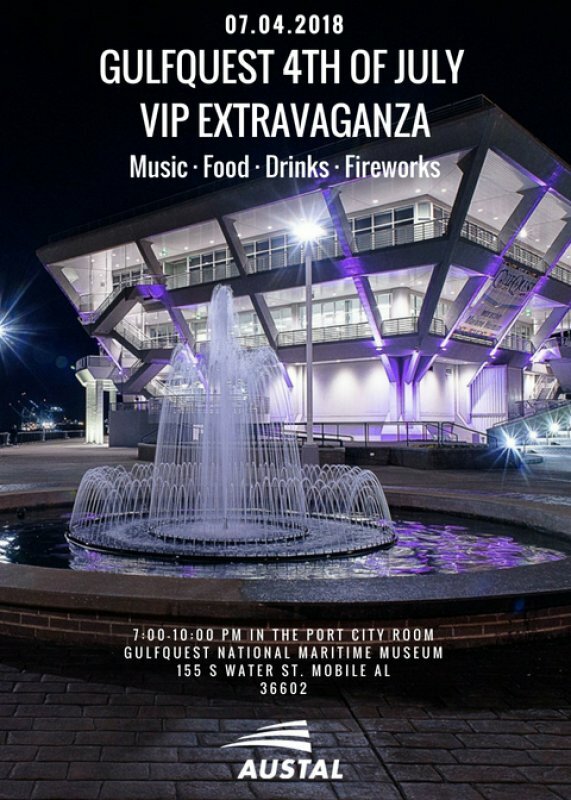 Enjoy music, food, drinks and panoramic views of downtown Mobile and the Mobile River. Our private balcony will be the perfect place to watch the City of Mobile's spectacular fireworks display! A wristband allowing ticket holders to move inside and outside will be provided upon arrival. Space is limited, so don't wait.